It is not those who can care for themselves who need a Caregiver, but those who cannot care for themselves. 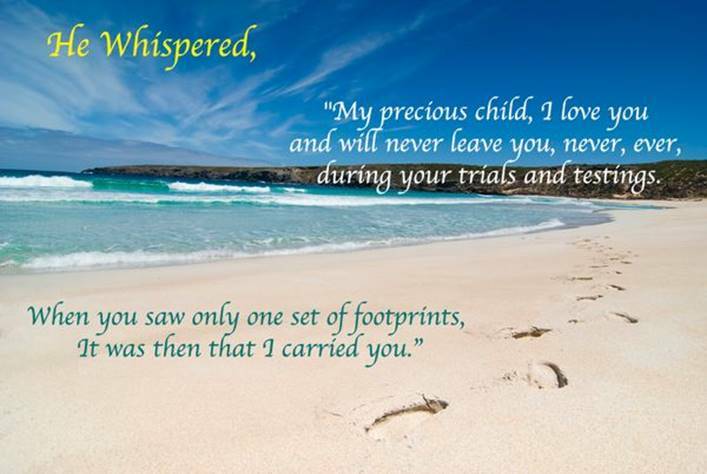 In a real sense the relationship we have with Jesus is that of Carereceiver to Caregiver. Yesterday I wrote that a Caregiver gives up EVERYTHING, so what does a Carereceiver give up? Like the Caregiver what a Carereceiver gives up can be reduced to one word too, PRIDE. The last time I saw Doctor Artinian Patti pushed me out in a wheelchair I was almost humbled to tears, it had to be, but I still didn’t like it. Here’s another verse you’ll not find in chapter 5 of Matthew: Blessed are they who humble themselves for they will receive the care they need when they need it. The Blessings Caregivers receive for the most part are below the surface where nobody really sees them, sometimes not even the Caregiver themselves. But if God sees even a Sparrow when it falls will certainly see when a Caregiver goes into action. Carereceivers on the other hand as a rule their Blessings are out where people can see them, like a wife pushing her husband in a wheelchair. Never in my life had the thought ever occurred to me that one day I would become a Carereceiver but unfortunately that is the path life has lead me down and I am so Blessed to have “my world” filled with Caregivers, some of whom I’ve never seen nor will I ever see them, and then there’s my family, and especially the Lady who has stuck with me for 50 years, Patti, and then there’s God who has stuck with me for nearly 72 years. What I Blessed world “my world” is! Do you know a Caregiver? For those of us who are married has it ever occurred to you that we you married your spouse you promised to be a Caregiver? I have. Because I’ve been married to one for 50 years. I remember in our Marriage Vows hearing my Father-in-law say, “Patricia do you take Gary to be your lawful wedded husband, in sickness and in heath until death do you part?” Immediately Patti replied, “I do.” At that point Patti became my Caregiver, she promised God, me, her father, and all those that heard her to do so. And I made the same promise as she did, it just turned out she became the Caregiver. I’ve never been a Caregiver, a Caregivers helper, but a Caregiver no, but after watching Patti being a Caregiver to her parents I can tell you what it cost for one to be a Caregiver: EVERYTHING! They give up their hopes and dreams, they give up their time, they give up their real identity, sometimes they even give up caring for themselves. 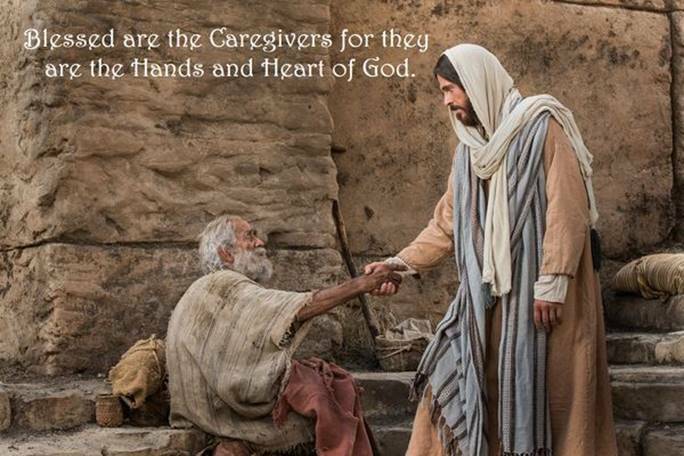 In case you’re wondering who becomes a Caregiver for a Caregiver the answer is God, God is the only one with enough Love and Compassion to listen intently to the woes of a Caregiver. God is the only one with an overflow of Longsuffering to ensure the Caregiver has just what they need when they need it. Have you ever considered parenthood as a Caregiver? Parents are you know! Perhaps one of the primary reasons there seems to be a lot of violence in our schools is parents are no longer Caregivers to their children. Then as parents age in many cases the roles reverse, and the children become the Caregivers. There is only one power in the world that can change a normal person, man or woman into a dedicated Caregiver and that power is the power of LOVE, not just Love between two (or more) humans, but God’s Love. For the most part being a Caregiver is a thankless job, not because the one receiving the care is thankful, but because there are no words to truly express one’s thankfulness for the sacrifice of the Caregivers life. I think there should be some way of recognizing those like my Patti who give up their lives to take care of a loved one or someone who needs a caring hand. If you are a Caregiver I would say God Bless you, instead I will tell you God IS Blessing you and the day is coming when there will be so many Blessings you won’t be able to contain them all! In the movie “The Bishop’s Wife” starring Cary Grant and David Niven is a scene where the Bishop (David Niven) asks Dudley the Angel (Cary Grant) to prove that he’s an angel by making a desk float around the room. Dudley refuses then turns around walks up to the locked office door turns the doorknob and walks out and shuts the door behind him. Suddenly the Bishop with key in hand realizes what just happened walks up to the door and turns the doorknob only to find it still locked. Shocked the Bishop drops in a nearby chair and stares into the room in disbelief. Once you get past the humor of the scene a great spiritual truth emerges – locked doors are no match for the Divine – nor are locked hearts – nor is the impossible, impossible to God! There are those who are or will read (with your help) this verse facing the impossible. Perhaps it’s financial, perhaps it’s a broken relationship, perhaps it’s a health issue, perhaps it’s the loss of a loved one, perhaps it’s the burden of caring for a loved one, or perhaps one a many other impossible circumstances. Not as long as Jesus is Savior anyway! Take a gander at these two gems and then believe that with Jesus the impossible IS possible! 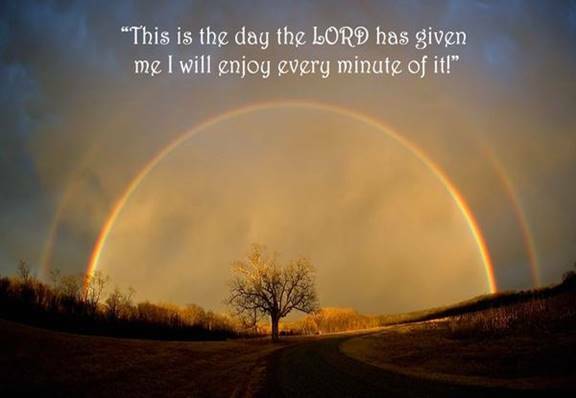 One last scripture that dot’s the I, crosses the T, and puts an exclamation point at the end! ““Write to the angel of the church in Philadelphia: Thus says the Holy One, the true one, the one who has the key of David, who opens and no one will close, and who closes and no one opens:” (Revelation 3:7) Not a member of the church in Philadelphia? 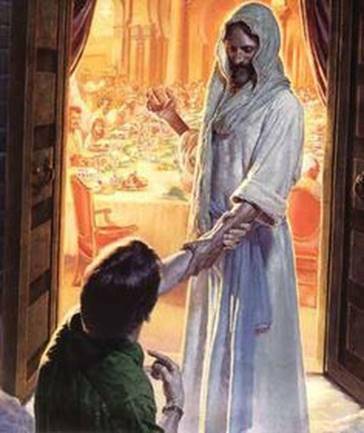 Don’t worry Jesus is the Ultimate Doorman he’ll always unlock and open a door for you! Today as I reflect on my life, I can see the many times I’ve walked as far away from the kingdom as I could get. And now all these years later when I look at the man in the mirror I no longer see myself as an enemy, I see myself as a man with a broken spirit and a humble heart hungering and thirsting for the path of the righteousness of Jesus and the Kingdom of God. 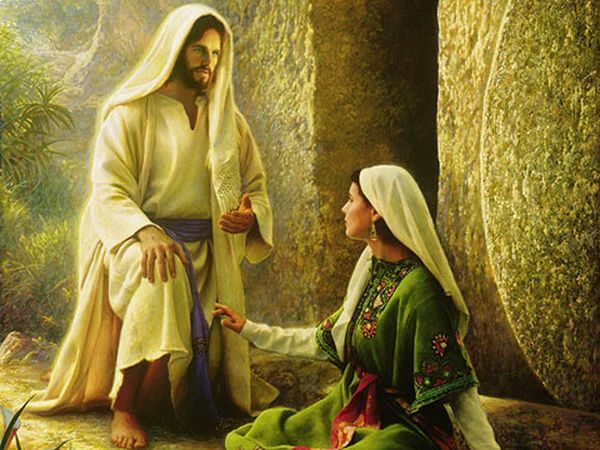 As Easter Sunday approaches throughout the Lenten Season, I have thought long and hard about Jesus standing outside his tomb then reaching back in and pulling us out one at a time. God’s love for us has been tried and proven to be ultimate and far more powerful and penetrating than any power on earth or hell! We are more than just citizens of God’s Kingdom on Earth we are Children of the Resurrection, we are God’s greatest miracles! 14 days from today we will commemorate the day Jesus’ earthly life ended if he could say anything to us I wonder what he would say. I wonder what scriptures he’d like us to think about. I wonder what he’d want us to do as we prepare ourselves for the ultimate blessing of the Father. For me yesterday was a bad day. Pulmonary Fibrosis ganged up on me and got the better of me. There was a time when I would not admit that to anyone, I didn’t want anyone to know my faith faltered at times. Even now it is hard for me to admit it, yet life has taught me there is only one Rock and it isn’t Gary Piper. 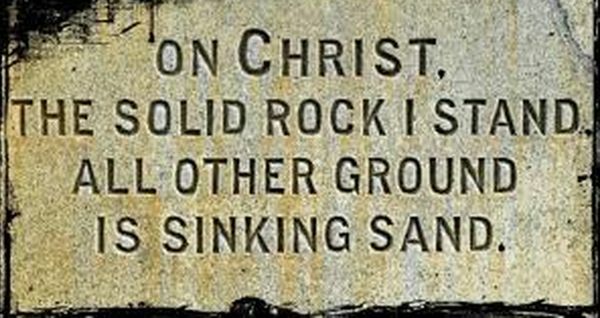 Because Jesus is my Rock my temporary lapses of faith are only short lived. And in my letter to God (I write one every day) I found myself learning a valuable lesson one I’ll never forget. The bible tells us Jesus knows our pains and sufferings because He too experienced pain and suffering. Yesterday I found myself writing this: “The thought occurred to me a few minutes ago that You really do know what it’s like to struggle for a breath. Instead of pulmonary fibrosis You had a cross! Perhaps pulmonary fibrosis is my cross, and honestly, I am not doing a good job at bearing it, am I? I am so glad I have You to talk to Jesus, this is one of those times when I need You to talk back to me and encourage and give me the strength to keep on keeping on.” As I read what I wrote I am convinced it was the Holy Spirit that put the words in my mind to type, through the Holy Spirit Jesus did talk to me. It will only be through Divine Intervention with a miracle will pulmonary fibrosis ever get any better, but experiencing Jesus struggling to breath will encourage and strengthen me in my struggles.